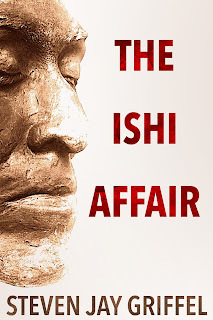 Steven Jay Griffel’s new novel, The Ishi Affair, continues the saga of his popular protagonist, David Grossman. Since his debut novel, Forty Years Later, became an Amazon #1 Bestseller in two categories, Griffel has gone on to write four more novels, for a total of five, and is currently working on his sixth. A baby boomer who lost his job in publishing during the Great Recession, he turned adversity into success, first as a novelist, and soon, as a publisher with the coming debut of the first book under his own imprint, SJG – A Steven Jay Griffel Book. 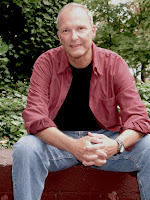 Stay Thirsty Magazine visited with Steven Jay Griffel at his home in Bayside, Queens, New York, for this new Conversation about who David Grossman is and the role he plays in the Griffel novels. STAY THIRSTY: All five of your novels center around your main character, David Grossman. Who is he and what made you decide to make him your protagonist? 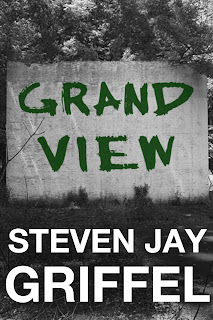 STEVEN JAY GRIFFEL: When I began writing Grand View, the first of my completed novels, I created a young protagonist who was like me in many ways. I named him David Grossman: David for the sensitive shepherd boy who played the lyre, wrote psalms, slew Goliath, and became King; Grossman for all that is dirty, common, feckless, and selfish. Together, David + Grossman was my expression of Everyman, the incarnate range of human feeling and endeavor. Over time, David Grossman became my literary alter ego. STAY THIRSTY: How has the character of David Grossman changed over the course of your five novels? 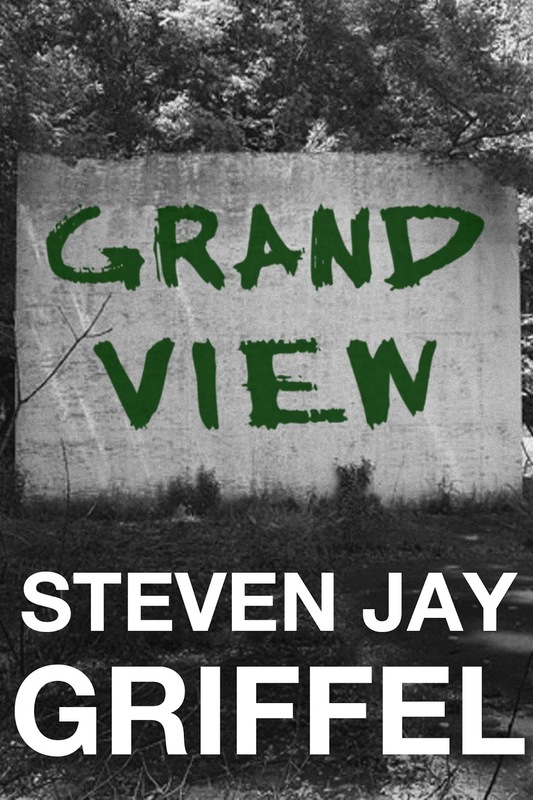 STEVEN JAY GRIFFEL: I think David’s character is consistent through all the novels, beginning with Grand View, where he is introduced as a young teen. Some readers think David is weak and selfish. They want him to be better than he is—to rise, heroically, to challenging situations. But most readers applaud that David is consistently realistic: a flawed human being; a jealous and selfish passive-aggressive … who yearns to be a hero. STAY THIRSTY: Since you acknowledge that Grossman is your alter ego, how do you feel about having your life play out in such a public way? STEVEN JAY GRIFFEL: That’s a great question. Having acknowledged that my novels are largely based on my actual experiences, some people assume that everything that David Grossman feels and does has its parallel in my own life. That assumption is understandable, I suppose … but it’s never the complete truth. As examples: I did spend my adolescent summers in the Jewish Catskills, and I did join an archaeological expedition to study a tribe of ancient Native Americans. Each of those experiences inspired me to write a novel. But, in each case, my remembered actual experience was just a starting point, the letter “A” in the alphabet arc of a fictional narrative. How I went from “A” to “Z” is the miracle of literature, the mixing of fact and imagination. 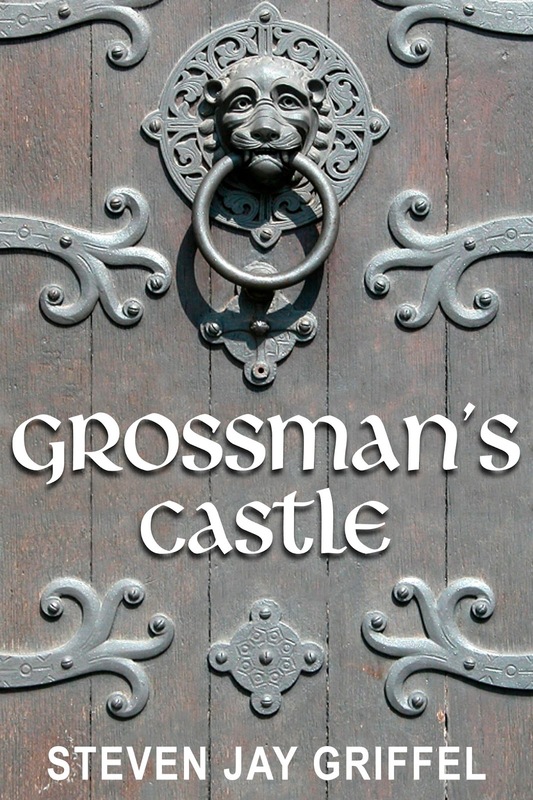 STAY THIRSTY: If you had a chance to sit down with Grossman for coffee, what would you ask him and what do you think he would ask you? STEVEN JAY GRIFFEL: I think we would collaborate. Since we’re in this together, I think we would ask each other: Where do we go from here? … Which of our personal insecurities should we explore next? How can we embroil ourselves in another exotic situation? Developing a narrative conflict is like spelunking: Entering the dark and unknown, you proceed cautiously, step by step, wary lest you bump your head or get attacked by flying bats. You never know how these things go, until you enter the cave. STAY THIRSTY: How have you evolved as a novelist and as a storyteller during your journey of writing five well-received books? STEVEN JAY GRIFFEL: As a result of positive feedback and the unwavering support of a committed publisher, I have developed a surety of style and purpose. With this confidence came the belief that I don’t always have to rely on David Grossman as my first-person narrator. 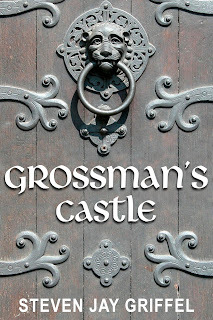 Grossman’s Castle was my first novel in which I used a third-person point of view. In this book, there are four main characters (not counting the “ghost”). David is still the hub, the first among equals, but the third-person approach allowed me to explore the hearts and minds of the other characters in ways that would not have been possible had I relied solely on David’s limited vantage. 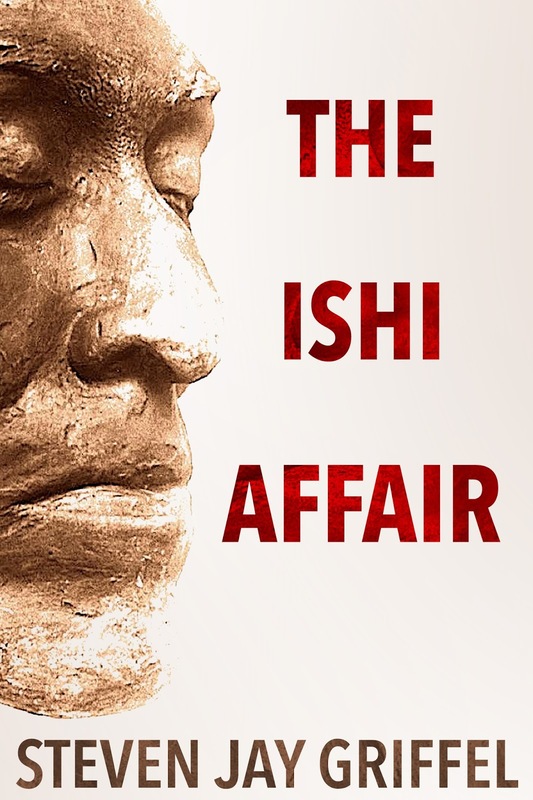 My most recent novel, The Ishi Affair, moves David even farther from the spotlight. While he is still the prime mover of the plot, I think the most memorable part of the story is Ishi and the Stone Age Indians. STAY THIRSTY: What do you plan on doing differently as you approach your next book? STEVEN JAY GRIFFEL: I plan on taking a break from David Grossman. Though I love him like a brother [laughing], I want to explore something entirely new. I went way beyond my usual purview with The Ishi Affair. Now I mean to go even go farther, to explore a setting that is unmapped and unknown to me. I want to feel like a stranger in a strange land. STAY THIRSTY: Of all the comments and reviews your David Grossman Series has received, which ones stick with you as the most meaningful? How have the comments from readers shaped your thinking, if at all? STEVEN JAY GRIFFEL: To this day, even after having published five successful novels, I still feel validated when a stranger writes a glowing review or posts a positive comment…. On the other hand, I now find it easier to dismiss most negative comments. It took a while, but I’ve learned that it’s simply impossible to please everyone. Thinking back, there was one comment—made by several readers/reviewers—that I took especially to heart. I had left the close of Forty Years Later somewhat open-ended. Many readers loved this—feeling that the uncertainty increased the story’s effect. But some readers objected. At first, I bristled at the idea that I should have tied every plot string into a pretty bow … but over time I realized that those readers who felt short-changed were asking for the very thing I enjoyed in most novels: an emotionally satisfying ending in which each of the major characters gets what he/she deserves…. Of course, it’s not possible, or even desired, to craft all endings in this manner … but it’s nice when it works out that way. STAY THIRSTY: What three pieces of advice do you have for aspiring writers who want to become successful novelists? Read … as much as you can, as widely as you can, focusing on the best authors. Write … as often as possible; don’t wait for thunderbolts of inspiration—write like it’s your job, not your hobby. Also, focus on the storytelling, not the styling. You can sharpen styling in revisions, but you can’t make a hobbled story dance. Revise … with the passionate belief that this is the showdown, the clincher … where you make or break your story. STAY THIRSTY: As you look back on your career in publishing and as a writer, what moment comes to mind as critical in the shaping of your career? On one occasion, I received an email from a publisher who asked that I call him directly. I leaped for joy! When we spoke, he told me how much he enjoyed the beginning of my novel … and then uttered the terrible word but. As fast as I had soared, my crash was even more sudden. The publisher went on to explain why he had to reject my novel … but I listened with only one agonized ear. The next novel I sent was Forty Years Later. He loved it. Although it was released only as an e-book, it became an Amazon bestseller. More than 60,000 copies sold on six continents, putting my name on the map. My persistence … and my publisher’s willingness to give me a second chance … is the most critical moment of my career. STAY THIRSTY: What story is next up on your drawing board? Will David Grossman continue to lead the way? STEVEN JAY GRIFFEL: As I said, I think David Grossman and I need some time apart … a trial separation. Meanwhile, I’m hard at work on a new novel, The Saltin Sea: new places, new history, a new set of characters with new dramatic conflicts. I think this will be my greatest challenge yet: the action takes place on three continents and features a controversially famous person as a central character. Stay tuned.